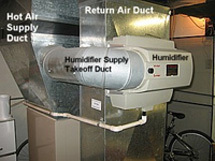 Whole home humidifiers are installed on the main ducting of your furnace. 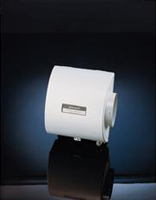 Humidifiers provide your home with added moisture. Heating your home in the winter causes dry air. Adding moisture creates a more comfortable home. 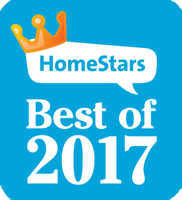 We at Ozone Duct Cleaning provide qualified professionals trained to install the top major brands of humidifiers in your home. Typical install of residential humidifier.